Just Natural Thicker Hair Conditioner - Luxury Beauty Care Products ! Instantly Thicker Volumized. Right away your hair begins to thicken as the rich nutrients in this shampoo are absorbed by each hair strand. Lifts hair up, fills it out by increasing hair diameter, leaving hair fuller, soft and shiny without weighing down your hair. It gently deeps cleanses hair roots for a more full bodied appearance to hair. Pure plant extracts, vitamins with rice protein help energize and add volume to fine lifeless hair. 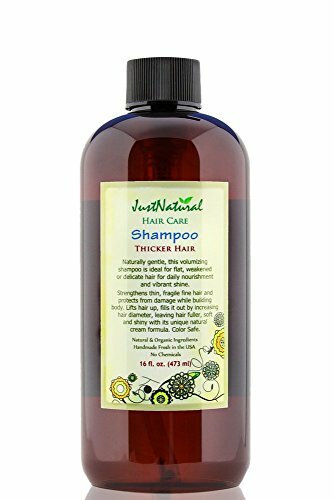 This sulfate and chemical free Thick Hair Shampoo leaves hair visibly thicker and fuller.Natural conditioner that forms a humidity-resistant barrier. blowpro Blow Up Daily Volumizing Shampoo, 1.7 fl. oz.